MAC in a Year – April | Love it. Like it. Lose it. Love it. Like it. Lose it. It’s once again that time of month where I review a couple of MAC products that I’ve been trying out over the last month, and this time it’s April’s turn. Along with the Haute and Naughty Mascara I ordered yet another MAC eye-shadow refill in the colour Woodwinked, a beautiful, extremely pigmented, warm gold. This wonderful looking tube consists of 2 wands that when combined together create a huge full wand ready to curl those lashes to the max, which I have to say this mascara does…but at a price. For me personally, the wands are just too clumpy and the tub doesn’t seem to have the part where it gets rid of any excess mascara, resulting in excessive excess fluid. I already have quite long dark eyelashes, and when I tell people that I’m not wearing mascara, they’re often surprised, and for this reason I tend to be most fussy with mascaras as they often result in my eyelashes looking a bit like spider legs…and this mascara just seems to do exactly that but with extra clumps from excess fluid resulting in my eyelashes sticking together. However, for someone who has fairly short or light-coloured eyelashes I think this product would help provide colour and length, especially if you use the thinner wand, it just didn’t work for me personally. I didn’t curl my eyelashes beforehand, and I only applied it on the top lashes, so I apologise for my slightly weird eyelashes on the left eye. What I am impressed with this mascara is the darkness it does give my eyelashes – it really works to give black black black eyelashes. Verdict = If you excuse my opinion from the equation I think it’s quite a good mascara, it’s just not natural enough for me. 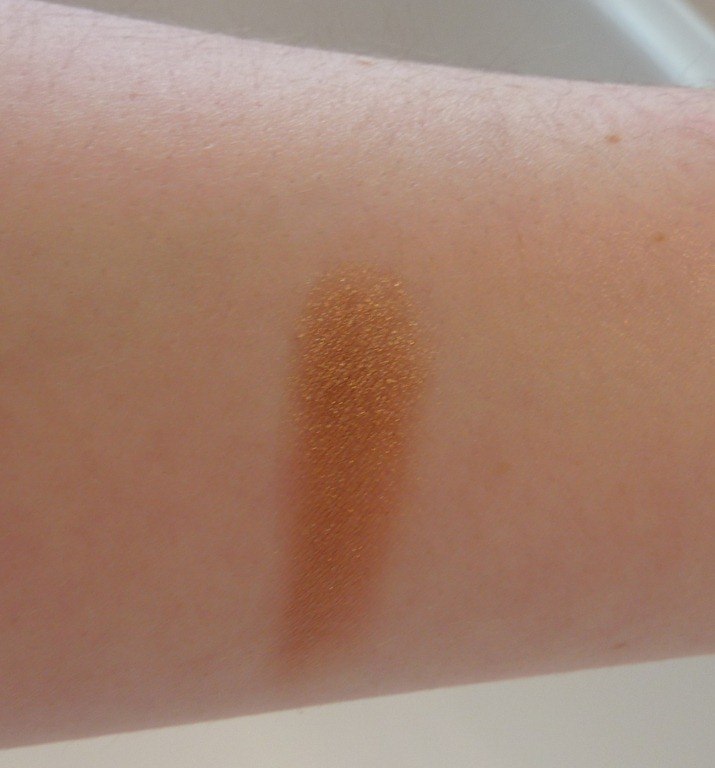 The next item is MAC’s Eyeshadow Refill in Woodwinked (£9.50 for 1.5g). 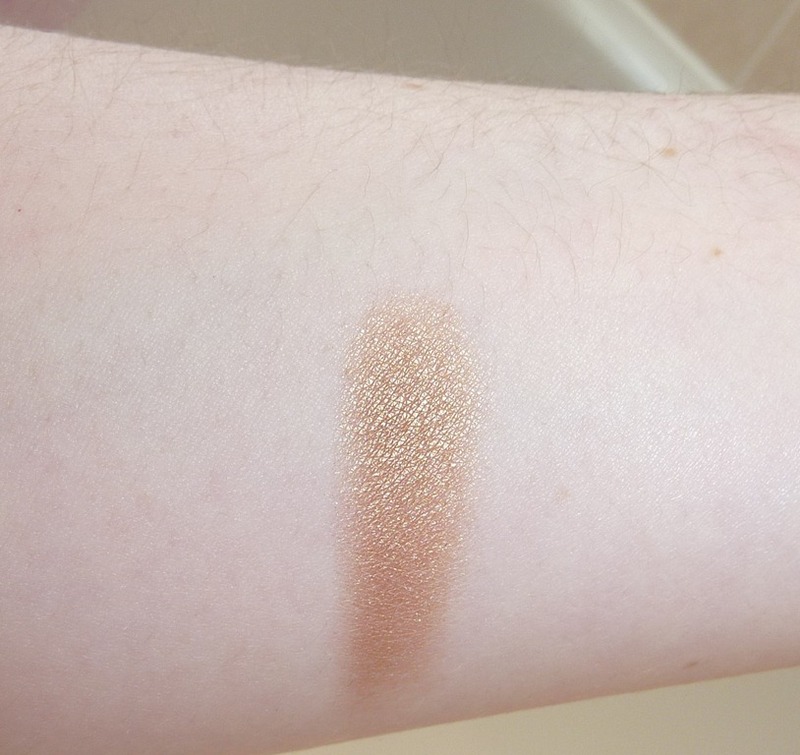 As you can see, Woodwinked is a beautiful tan/bronzed gold, that used alone creates a lovely look, and the pigmentation of this product is just perfect. I think this colour would be perfect for the summer especially, to help achieve a bronzed, golden summer-time look, perfect for holidays. As a universal colour I think it would work for all skin tones as well, making it a colour for any makeup collection. Furthermore it’s a multi-purpose colour as it can be used all-over the lid or in the outer-corner/crease area. 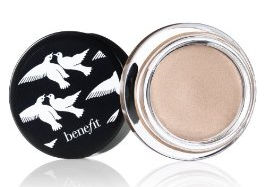 I’m particularly fond of using this with my Benefit Creaseless Cream Shadow/Liner in Tattle Tale a butter-cream colour; tattle tale all over the lid with Woodwinked in the corner. If you have any suggestions for next month’s products to try out as part of my MAC in a Year Challenge please let me know – I’d love to hear your ideas. Blogger – Love it. Like it. Lose it.